1 of 2 In a large bowl, mix cream cheese, cheddar cheese, chiles, softened onion flakes, garlic powder and cayenne pepper. Form into two 8-inch logs, wrap and refrigerate for about 15 minutes. 2 of 2 Place nuts on parchment or waxed paper and roll each log in the nuts. Wrap in plastic and refrigerate for at least 1 hour. 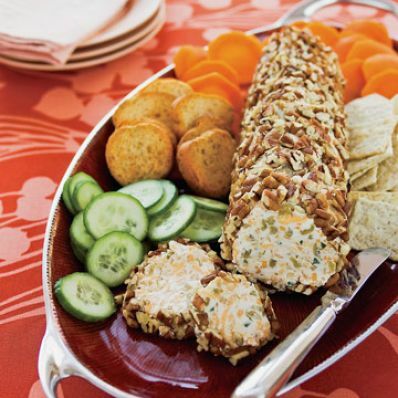 Serve with crackers and sliced fruit and veggies.